Wulf Artmann is originally from Germany. The story of his family’s move to SW Florida is rather typical of what many other Europeans have experienced. In 1992 Wulf and his family caught the “Florida Fever” on their first vacation to the Cape Coral area, similar to many other first time Florida vacationers. The feeling of wanting to move here was overwhelming. When he returned to Germany, this desire continued to grow to the point where a decision was made to change. Wulf and his family made the necessary plans to return to the states. And now today, Wulf is proud to have achieved this success: He has been a permanent resident of Florida since 1999, and an American Citizen since 2009. He enjoys working and playing in these beautiful surroundings. 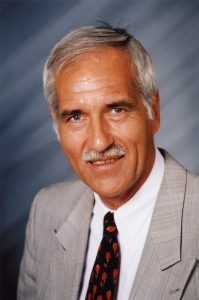 Wulf worked for 35 years in management with Europe’s largest electro technical company in his birthplace of Berlin, After retirement, he decided to start a new career as a Realtor® and Sales Consultant in his new home in Cape Coral. Since November 2000, he has been a proud member of the Aubuchon Team, working as a Sales Associate with Miloff Aubuchon Realty Group specializing in New Home Sales. Wulf also assists in helping his clients with general real estate needs including investing, buying, and selling properties. Wulf has had the rewarding experience of building a home. As a result, he has gained the knowledge, insight and expertise to ensure his customer’s home building process is smooth and rewarding. He is also here to help you get to know more about the hidden treasures of this charming Cape Coral community. His passion is to help others achieve the same pleasant experience. Whether you are searching for a new home, or looking to build a dream home, Wulf can help you find the right solution. After all, owning a home is absolutely one life’s greatest achievements! Wulf understands the importance of working with a dependable, knowledgeable business partner who will guide you through the procedures of financing, selecting, building/purchasing. Wulf’s key strength is to do what’s in the best interest of his client. He will help you determine if it is better to buy an existing home or build a new home. He understands you have worked hard to achieve success. Your matter is his matter, and he wants to help you realize your dream home vision. Wulf speaks English and German fluently, which gives our European friends a solid comfort level of working with someone who understands their needs. Satisfying a client is not enough. His goal is to create “Raving Fans” of The Companies of Team Aubuchon. Contact Wulf, wartmann@miloffaubuchonrealty.com or 239.826.9030. Toll free 877.542.1075.